KWEENS of the night! behind the scenes with sparkle, crowns + wicked nails. 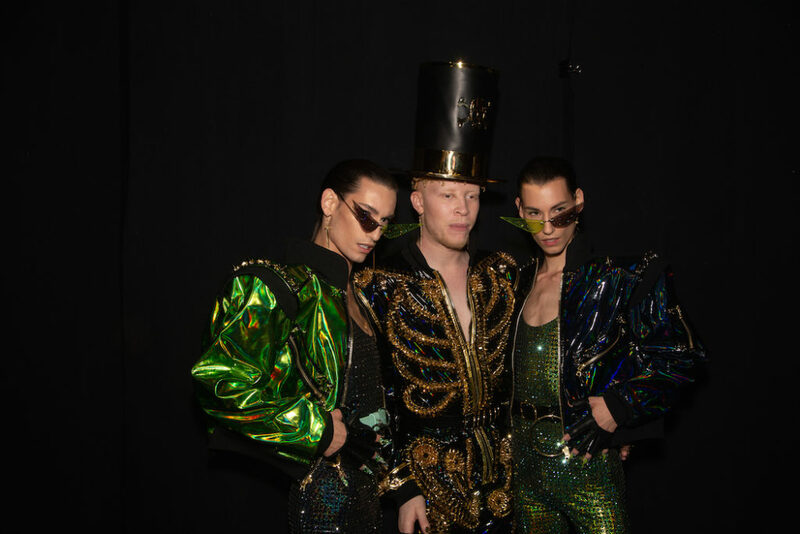 After looking at the romantic and quiet vibes backstage in Paris, we had to take another look at the sparkle party backstage at THE BLONDS x DISNEY VILLAINS for SS19. While almost each model did a show number on the catwalk, the backstage posers were ready to play. A melange of NYC artists, creators, performers, and a dash of Paris Hilton backstage wweeeerked the mood. 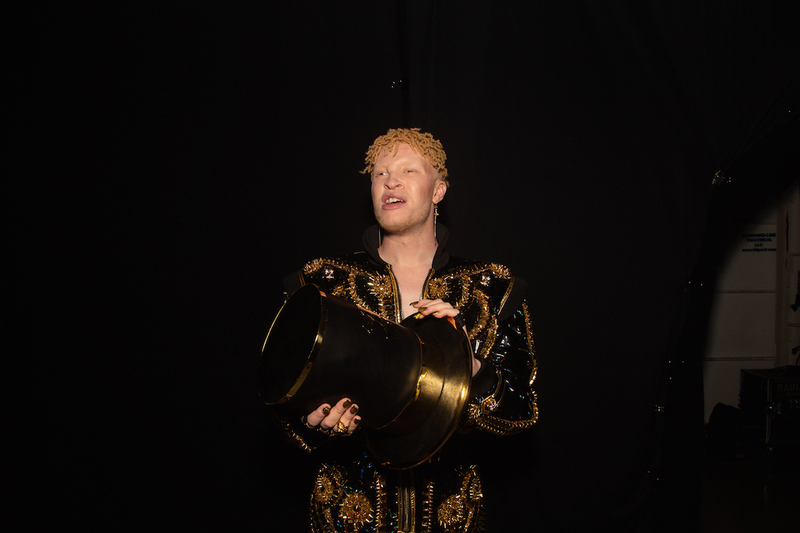 Young Desmond is Amazing was working a pre-halloween fierce villains look with Shaun Ross dripping in Gold. Breaking into model x talent posing extravaganza, here’s the haute glamour view. Crowns, nails, attitude and a robust room of entertaining egos. Here’s a glimpse of who and what we saw, and what seemed was another show in itself. 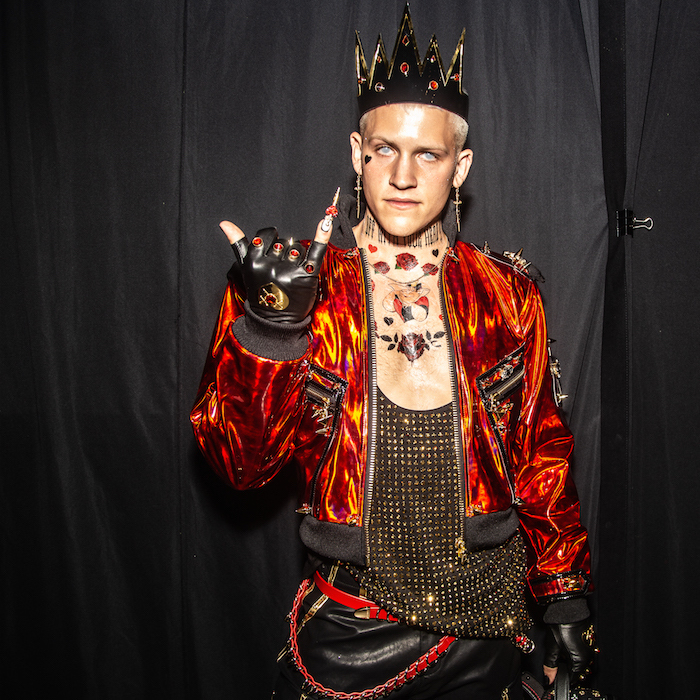 BACKSTAGE STORIES: WICKED at the BLONDS NY NYFW ss19. @wond3rwoman1@empty.pools @tytryone @isshehungry @desmondisamazing @mjrodriguez7 @shaundross @youngparis. show credits: @theblondsNY #disneyvillainsxtheblonds @phillipeblond @davidblond . crown @majestyblack || jewelry @heartofbone_ || bags @judithleiberny with @darrylnipps making the looks complete.